Ohio law enforcement officials strictly enforce drinking and driving laws. Almost 30 people a day in the United States die in motor vehicle crashes involving an alcohol-impaired driver, according to the Centers for Disease Control. 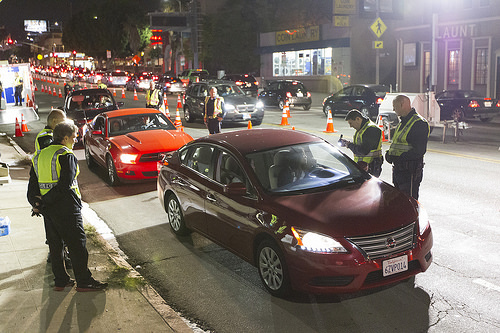 The annual cost of alcohol-related crashes is more than $59 billion. Though these are some compelling reasons for enforcing operating a vehicle while impaired (OVI) laws, be sure you’re not placing yourself in a compromising position by giving the State evidence against you. You are not required to take field sobriety tests. If you are stopped, the officer conducting the stop will ask you questions. You are only required to comply with the request for license, insurance, and registration. Beyond that, the officer may be hoping you will make his case for him by giving him the evidence he needs to arrest you. For example, you do not need to answer questions about where you were and where you are going. You may ask the officer politely if you are under arrest. If you are not under arrest, then you are not required to answer the questions. Respectfully decline to answer the questions. The standard field sobriety tests were developed to help law enforcement ascertain whether or not the average person is driving while impaired. There are many factors that go into conducting the tests, performing the tests, and interpreting the results. For example, if you have an inner ear infection, that is a temporary problem that can impair your balance enough that you fail the walk and turn test or the one legged stand test. Either physical or psychological differences could cause you to “fail” the test by not performing it as required by the test standards. In any case, the officer will subjectively interpret the results with the aim of finding probable cause to arrest you for OVI or DUI (driving under the influence). You are not required to give them this evidence. If you have taken a field sobriety test and failed it, all is not lost! The reliability of these tests can and often is challenged in court. Various studies have shown that these tests do not have 100 percent accuracy, and in fact are reliable only between 81 and 91 percent of the time in determining intoxication even when performed and interpreted correctly. The knowledge and expertise of an experienced Ohio field sobriety tests attorney is crucial in helping you navigate these tests and learning how to respond to various officer requests. Do You Need a Sobriety Test Attorney in Columbus, Ohio? If you’ve been arrested based on Ohio field sobriety tests, you need an attorney with the experience and skill to represent your interests. The Maher Law Firm will work to protect your freedoms and rights. Founding attorney, Colin Maher, is a National Highway Traffic Safety Administration (NHTSA) certified practitioner for field sobriety testing, which is the same training police officers take. This training helps him evaluate and challenge the evidence collection involved in the field sobriety test process. Call The Maher Law Firm today for a free consultation at 614-205-2208 or contact us online.